Hoop.la's activity stream is now available in two modes- a general stream that reflects all activity on the site (this is what we have always supported) and a (new) personalized stream that includes only the things that user is following. This option is available for activity and content stream widgets. In addition, there is a new Personal Activity Stream page available whenever the Activity Stream is enabled for your site. Please note that this feature may not be available on all Hoop.la plans immediately. It can take up to 24 hours to properly index your site to support this feature. Thus, if you are not seeing the option now, you should within the next day. Admins can now search for members by country based on their IP address. You can find this in the Manage Members control panel. We've changed the way we process uploaded images. Previously, we were compressing (and reducing quality) for nearly every image that was uploaded. We are not longer doing any image compression when processing uploaded images. This will result in much better image quality. Group admins can now filter their members by circle in their member management control panel. Also, another question to better understand how this feature works. You said "There aren't any specific toggles for manipulating the personalized version of the Activity Stream aside from the follow functionality that is built in to the community already (following the blog, clips, forum topics, members, etc.)." My question is: where can people control what parts of the site or who they follow? It's frankly been so long since I followed parts of the site that I've forgotten. 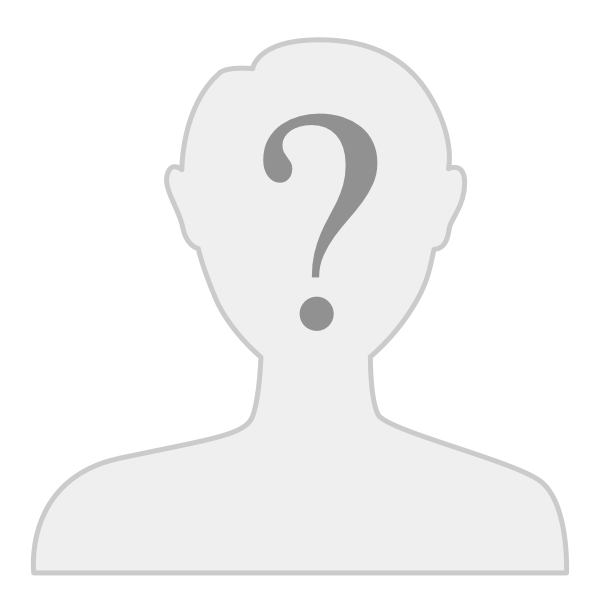 Is it under Personal Notifications in the member profile or somewhere else, or in a combination of places? Basically, I'm asking so I can explain to members what determines what they will see in their personal activity stream, and how they can change it if they want to. Thanks! Any member can go to their profile and click "notifications." First they'll see the delivery mechanisms (email or on-site alert), and then they can click the tab for Primary Notifications to see all of the options for following content and activities on the site. They can just check (or uncheck) those boxes to control what they're following. Each member also can set their default following behavior...in their profile, under Personal Settings, there's a section for "Default Notification Preferences." And finally, throughout the site, there are additional "follow" buttons that can be clicked or unclicked in the moment too. Asking so I can determine if this is a useful feature either to me (admin) or to members. Just can't figure out quite what is different here. Add me to the group trying to figure this out. What is different here for a user beyond what they have already had within the notifications area? And where do I find this in my Admin Control panel to set it up, if I want to use it? The biggest difference is portability. Since it's a widget, you can now put the personalized activity stream anywhere you want in the interface. Also, I think it appeals to people who are more used to the "feed" mentality, where you can see a page with "just your stuff" on it. You don't have to turn the personalized activity stream on or off, it should just be there if your users want to see it (if you are using the Activity Stream at all, which you turn on or off in the Structure area of the control panel). It's also up to you if you want to provide an activity stream widget anywhere (and you can configure it so that it shows only certain things too). 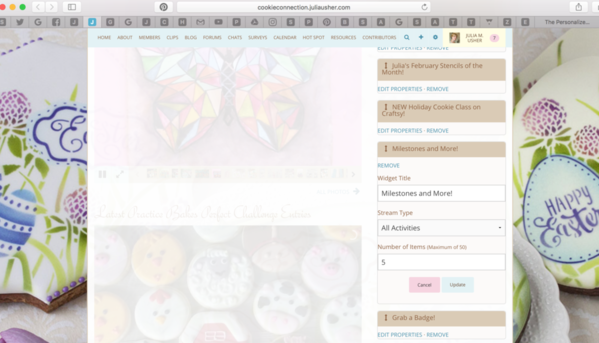 @Julie Usher, the Personalized Activity Stream is building as we speak. I would expect it to be completed within 24 hours at most, but I won't be surprised if it's completed overnight tonight. The Personalized Activity Stream is automatically refined based on the user's interests and follows on the site. There aren't any specific toggles for manipulating the personalized version of the Activity Stream aside from the follow functionality that is built in to the community already (following the blog, clips, forum topics, members, etc.). Can you let me know when it's done, so I can see how it might be used on the site and announce to member as appropriate. I guess I assumed that is was done because it was announced. 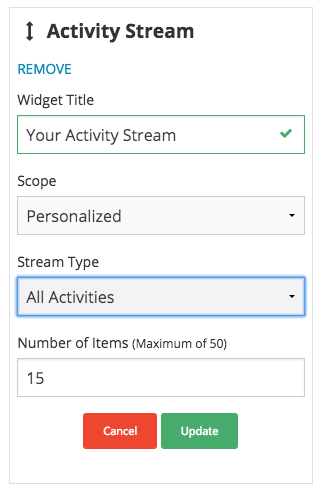 The Personalized Activity Stream is a feature that requires a rebuild process to complete before it becomes available. In the case of your site, since you are on a multi-tenant shared plan, it's not available just yet. Once it is available, you will see the Scope dropdown that Ted showed in his screenshot. The new Personal Activity Stream page Ted referred to is linked on that page at the top as View personal activity stream. That link will start showing the Personal Activity Stream once it is available. The Personal Activity Stream is a trimmed down version of the site's full Activity Stream, personalized for you based off of the content you are following. Okay, so basically you're saying I can't see/use any of this functionality now, is that right? If so, when do you think it will be rolled out to me/others in my camp? Also, can individual members personalize their own streams? And would they do it from the link you just gave me, or from their member profiles? I don't have that link in view on my site, except via linking through on the widget on one page, because it didn't seem too useful. But, if members can each alter it to personal taste, then it might become more useful. Thanks again! BTW, I'm asking the timing question to know when to alert people to these changes. If this one is way off, then I'll announce the photo one now. If this one is coming soon, I'll wait and announce them together. Hi, I'm especially excited about the photo change. Thanks! I did, though, have two questions about the personalized activity stream. I had an activity stream on my home page (Member Milestones and More! ), but I don't see a way to personalize it (see screen shot below). Why not? And, two, I don't understand this comment, "In addition, there is a new Personal Activity Stream page available whenever the Activity Stream is enabled for your site." (1) How do you enable the Activity Stream (I thought I had) and (2) where does the so-called "Activity Stream page" show up? And (3) what's the intended function of such a stream for admins vs. members?